13 5/8” X 19 1/4” serigraph print--contemporary design. 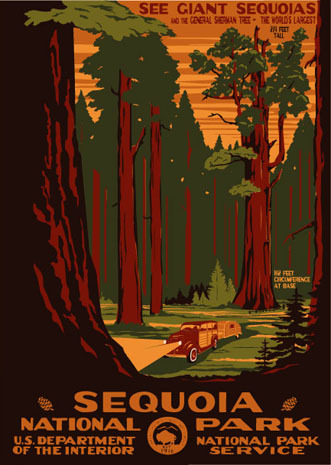 Our Sequoia National Park design features a 1940 Ford 'woodie' pulling a tear-drop trailer and was designed to complement the General Grant poster. The General Sherman tree featured is the largest tree on our planet. The next four largest trees gorw in the same grove. 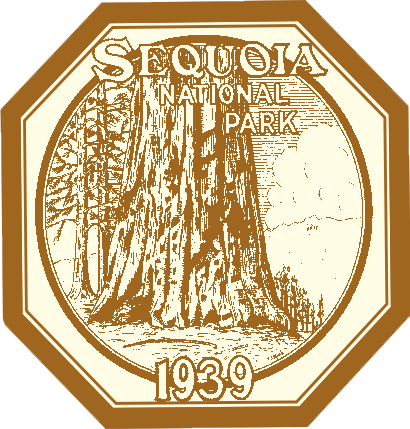 Like General Grant, Sequoia was formed in 1890, largely by the efforts of Hale Tharp and John Muir to protect against rampant logging.